14k Gold or Sterling Silver Halloween Charms. 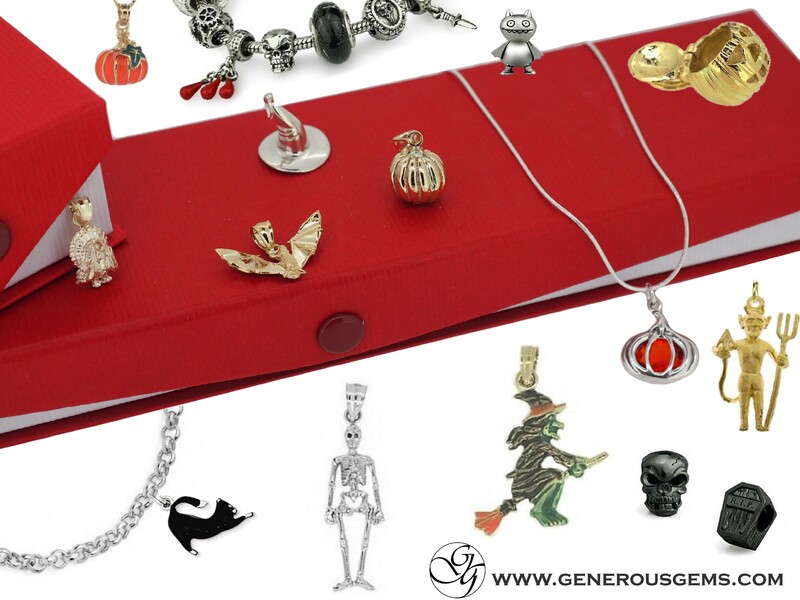 From ghosts and goblins to witches and scarecrows, search our catalog for the perfect Halloween charm. Halloween is the time of year to dress-up and pretend you are someone or something else, so why not dress up a charm bracelet or necklace with a gold or silver Halloween charm?